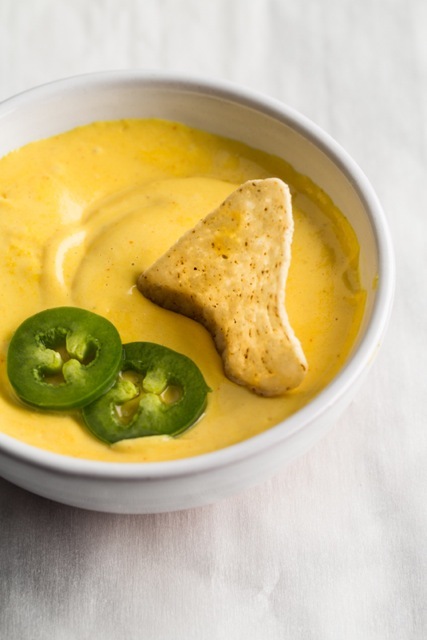 Few of us can eat “arena sports” nacho cheese sauce without feeling a little guilty about it. While it may be designed for deliciousness, it’s also packed with who-knows-what, probably lots of bad stuff, probably nothing ‘real’, and most likely some gluten in there somewhere. 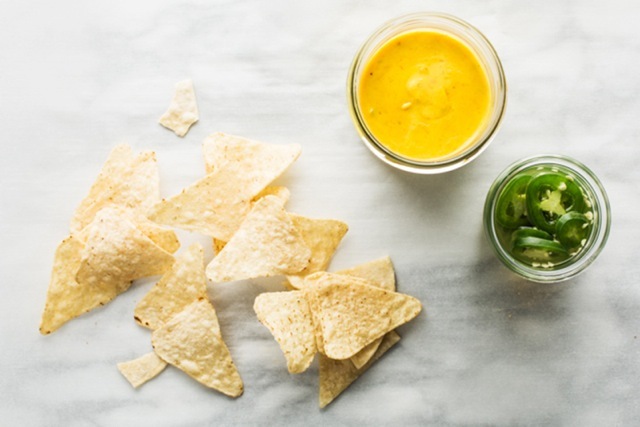 Food52 has a recipe to remake what they call Movie Theater Nachos, and they look pretty tasty. Looks like a great addition to whatever Super Bowl-related event you’re attending this weekend. 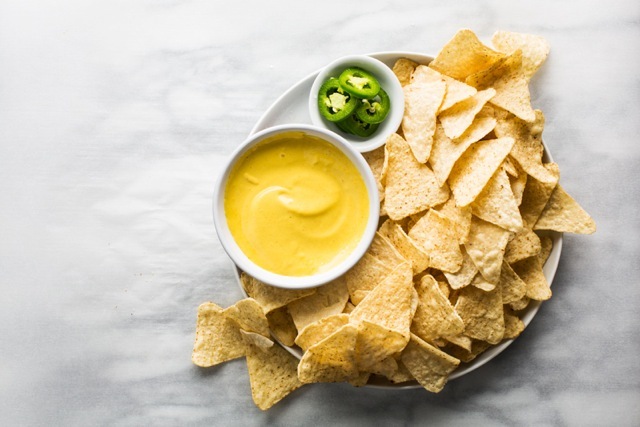 While I never had a real fast food worker experience as a kid, I did work for several years at the local movie theater, where in addition to an inordinate amount of popcorn, we made a lot of movie theater nachos. 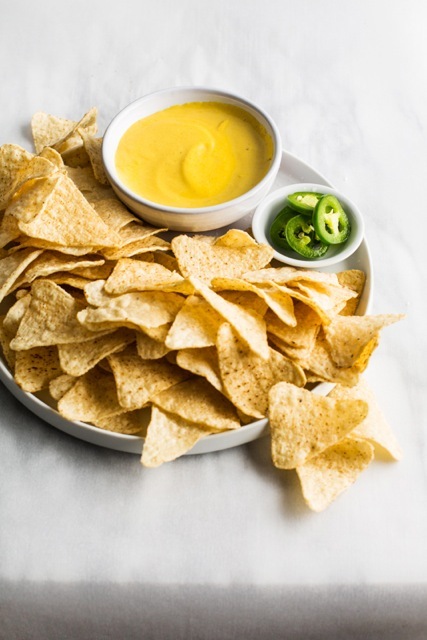 You know the kind with the little plastic dish with the special cup for the nacho sauce. 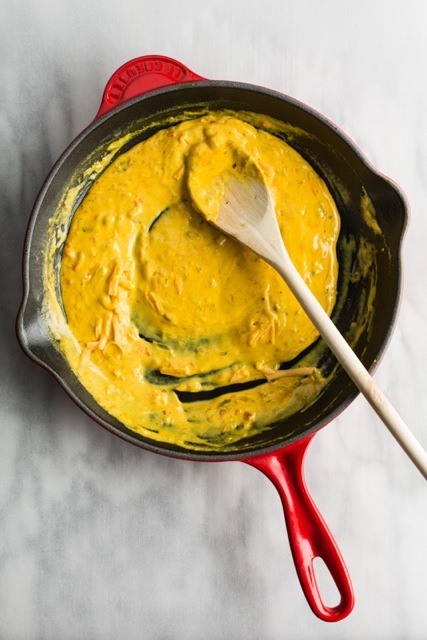 Trust me on this one, you don’t want to know exactly what is in that cheese sauce, but I’ll tell you that it does come in very large cans and is closer to plastic in texture before it’s heated than anything you should eat. 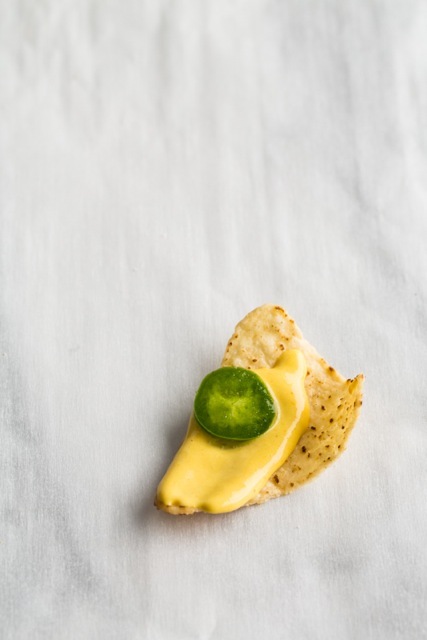 There was nothing nacho-y about the cheese itself — that effect was created by pouring a bit of the pickling brine from the equally large cans of pickled jalapenos, after first scraping off some weird oily black stuff off the top. You have my sincere apology for ever being involved in serving such crap as food. 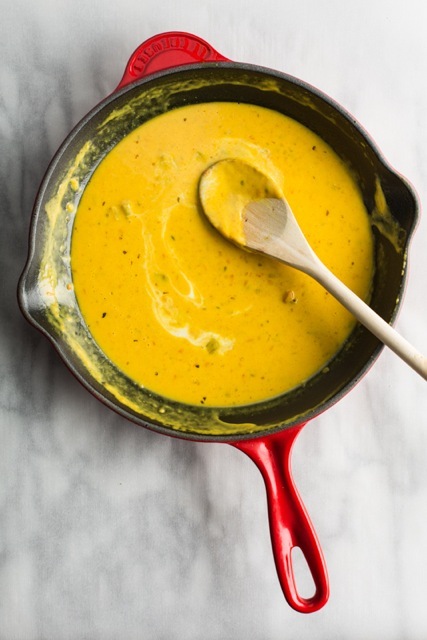 While you might be inclined to use cheddar cheese in this sauce, I’ve found that Monterey Jack gives a much better texture — cheddar just won’t get as smooth. 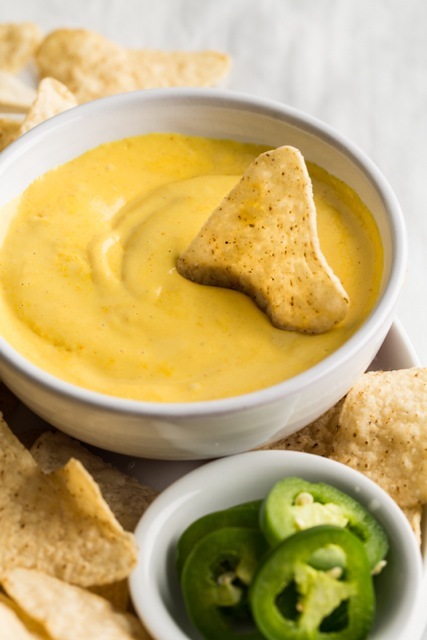 If you really miss the cheddar flavor, try adding half cheddar and half jack instead. This entry was posted in Cooking, Culture, Events, Gluten Free, Ingredients, Recipes, Uncategorized and tagged liquid cheese gluten free, movie theater nachos, nacho cheese gluten free, nacho cheese sauce, nacho recipes, super bowl nachos, super bowl nachos gluten free on January 30, 2013 by glutenfreepdx.